VoilaVe is including its 100% Pure Organic Argan Oil in all its skincare products: Triple Action Vitamin C Serum, 100% Organic Rosehip Oil, Total Youth Under Eye Gel, LH Hyaluronic Acid Serum, and Coconut Moisture with Retinol. VoilaVe is including its 100% Pure Organic Cold Pressed Argan Oil from Morocco in all its skincare products:Triple Action Vitamin C Serum, 100% Organic Rosehip Oil, Total Youth Under Eye Gel, LH Hyaluronic Acid Serum, and Coconut Moisture with Retinol. VoilaVe, Beauty Revealed, is the World’s Leading Skincare Products Company sourcing the best in organic ingredients from around the globe and manufacturing leading edge natural beauty products in the United States. Argan Oil has a wide variety of benefits to skin, hair and nails. and is foundational to a beauty regime and product. The best Argan Oil comes from Morocco and is Certifed Organic, Cold Pressed and 100% Pure. VoilaVe’s Argan Oil fulfills all those requirements. Co-Owner, Tracy Lear, who as a leading model has been featured on the covers of leading magazines added. “VoilaVe’s superior organic ingredients means that VoilaVe products compare favourably with all the leading brands. 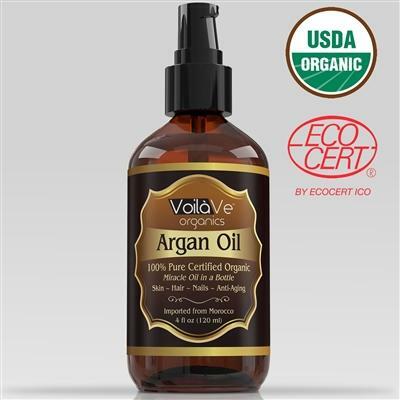 Indeed, VoilaVe is superior in many ways to much more expensive skincare products as the ingredients are without equal and that is furthered with adding the leading Argan Oil on the market”, Lear added. VoilaVe’s superior products are USDA Organic, Proudly Made in the USA, Not Tested on Animals, and come with a 100% Satisfaction Guarantee. VoilaVe has grown through an association with Amazon as American Women from all walks of life have purchased and enjoyed the benefits of VoilaVe’s products.